Hardwood floors can be incredibly beautiful. If you go with traditional flooring, then you can add a sophisticated look to your home. If you choose a more modern look for your hardwood floors, then you can enjoy a more refined vibe to your house. This versatile flooring option offers you different styles, colors, and species to add to any home in the Danbury, CT, area. If you’d like to add hardwood flooring into your home, then don’t hesitate to reach out to Zoltan European, Inc. We’ll help you find the right flooring to make your home look great. 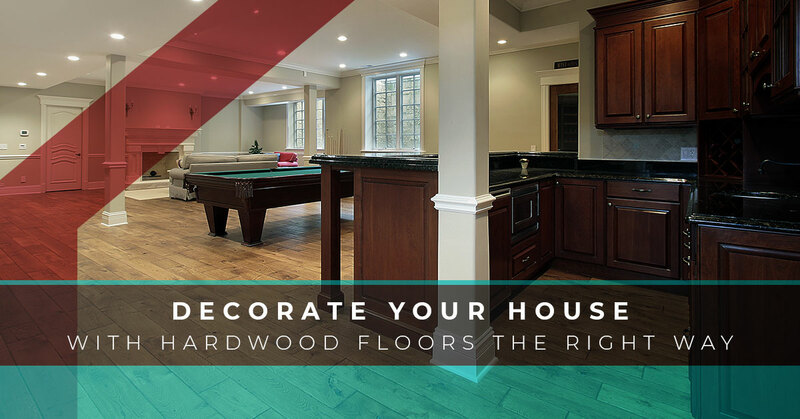 In today’s blog, we’ll be covering beautiful decor options to make the rooms in your home with hardwood floors look fantastic. Having hardwood flooring doesn’t just mean that you have floors that look impeccable, it also means that you need to decorate to really make them stand out. 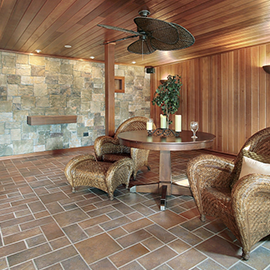 These five tips for making your floors look fantastic will make your home look even better. When you have hardwood floors, you don’t necessarily have to match everything perfectly. Allow the different elements of the room flow with each other instead of matching everything. Rich tones go great with hardwood flooring because they really offset the wood’s natural coloring. By putting wood tones against rich ones, you’ll have a more contemporary look that allows you to incorporate your own influences in your home instead of looking like a catalogue. However, it’s vital that you don’t go overboard when it comes to rich tones. We encourage you to limit your coloring to two or three options. Another great way to incorporate some decor into your home is to add a rug. 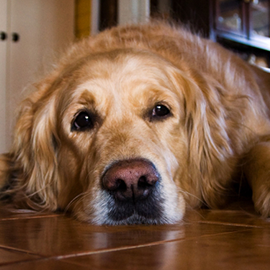 Now, we know you don’t want to cover up your floors, but a carpet will make it pop with softness that hardwood lacks. 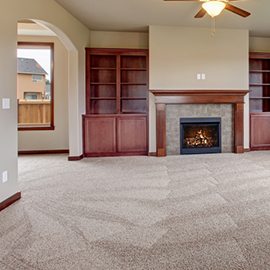 Rugs also provide the same comfort as a carpet without you needing to choose it. Living in Danbury, the winter gets too chilly, so covering up your hardwood floors with a rug can create more comfort with the minimal amount of effort. Rugs can also pull an entire room together with the coloring. Another stylistic choice for hardwood floors is to let it flow from one room to the next. Letting the room flow will make it work a lot better than forcing something to work when it doesn’t. Many homes these days are being designed with more of an open floor plan, this allows you to get a little more versatile in your flooring options. By letting the room flow and avoid the seams between areas in your home, you can create a natural flow between each section of the house. If you choose consistency for your flooring, then you’ll create a look that’s elegant with an aesthetically pleasing look. Mixing and matching is something that you hear a lot. However, to make your home look much more pleasing to the eye, you’ll want to mix without matching. You might think it sounds counterintuitive, but it’s far from the case. You’ll want to ignore that wood tones need to match and take more of a contemporary approach to designing your home. You’ll need to blend the rustic and rough look with a more polished one to really make the room pop with something that’s uniquely you. Take advantage of stains and grains and the raw wood look for a home that mixes instead of just matches. Our last tip is to add some light with open windows and bright tones. You can choose white or some light colors to really brighten up the room. In a home that has darker colors, you’ll want to add some lighter tones to really brighten up the house. White walls or light cabinet choices with a fun rug can really help to create a contrasting look with rich and light tones. Additionally, this will help showcase the areas of your home that you’re really proud of such as your hardwood floors. We hope that these tips have helped you achieve a home that’s comfortable as well as beautiful. For more information on hardwood flooring installation, please contact us today. We look forward to helping you have floors that are elegant and gorgeous.